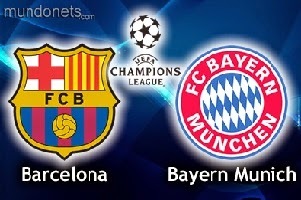 Barcelona hosts Bayern in the first game between them for the Champions League semifinals. Barca was trashed two years ago from their recent opponent with 7-0 on aggregate. The home team is in best form for this final stage of the season. Suarez, Neymar and Messi are scoring goal after goal in each and every game they play. They will play their usual offensive game with a lot of passes and of course possession of the ball. Bayern is dealing with a lot of injuries and they continue growing after every game played. Lewandowski will miss this match due to fractured jaw. Robben played a couple of minutes against Dortmund and suffered from another injury. Ribery and Alaba are also out for this game. So in general the desire for revenge of Barcelona and the shortened squad of Bayern Munich will determine the outcome of this meeting.